To hot to turn on the stove? Grill! Grilled portobello mushrooms can be added to many dishes: salads, pasta, crostini, sandwiches, or even eaten straight. This recipe uses a grilled portobello as a base for sautéed vegetables which you can modify to suit your personal tastes or what you have on hand. Bottom line- it's all about the foil pouch. You may not get grill lines or as much smokey flavor, but your portobellos won't dry out, toughen, or burn. -Clean and de-stem portobellos and place gill side up on a large sheet of lightly oiled aluminum foil. -Drizzle the portobellos with olive oil and season well with garlic, pepper, and salt. 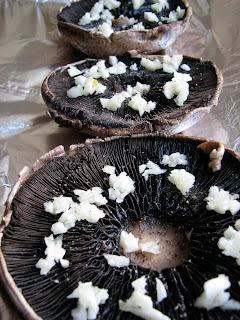 -Form a pouch around the mushrooms with the aluminum foil leaving a few small openings to serve as vents. -Grill over medium heat until the mushrooms are cooked through, tender, and bubbly. -Over medium heat, sautée onion in 2 tablespoons of olive oil and a large pinch of salt until softened. Add the peppers, chili, and another pinch of salt and continue to sautée until the vegetables have all softened and lost their excess moisture. -Note: You can make this before you grill the mushrooms and keep it warm until serving. 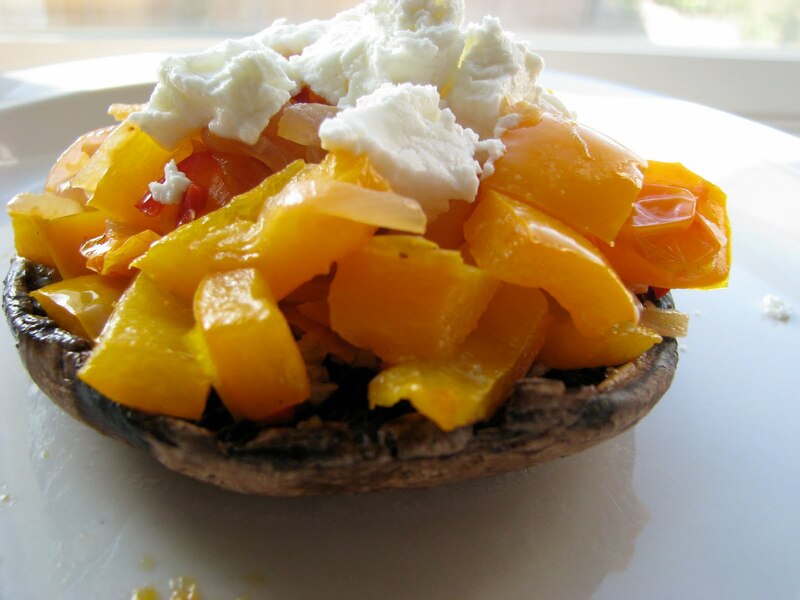 -Divide mixture between the portobellos and top with large crumbles of goat cheese and freshly ground pepper.